Archaeological exhibits at the Shaanxi Historical Museum in Xi’an, China show evidence that the region was inhabited and prosperous even one million years ago. Xi’an, the capital city of the Shaanxi Province was the starting point of the ancient Silk Route. Consequently, the Province has a natural affinity for tourists and a culture of hospitality. Today, the Province is the perfect blend of mixed cultures, historical relics, picturesque landscapes, and urban conveniences. The Shaanxi Province can be divided into three distinct zones of north, south, and central districts depending on their topography, climate, and culture. The Loess Plateau and the Maowusu Desert (collectively called Central Shaanxi or Guanzhong) are sandwiched between the Beishan Mountain range in the north and the Qinling Mountain range in the south. Most of the land in the central region is made up of plains or terrace plantations. 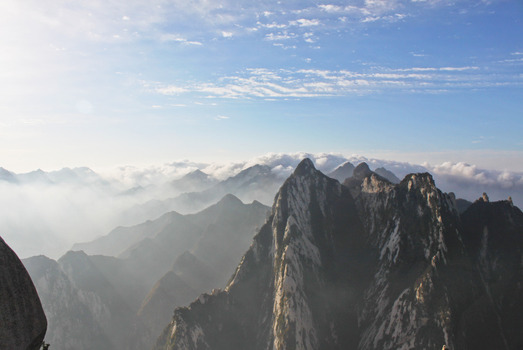 In the mountains, the tallest peaks with the most spectacular scenery are Hua Shan and Li Shan. They are filled with natural flora and fauna, as well as a multitude of ancient pagodas, pavilions, mansions, and memorials. The northern and central regions have a temperate sub-arid climate with not many extreme temperatures. 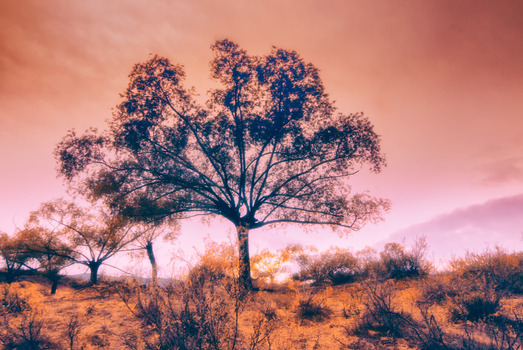 Whereas, the southern districts of Shaanxi Province enjoy a subtropical monsoon climate with warm summers, heavy rainfall, and pleasant winters. It has beautiful natural surroundings, plenty of greenery, and an abundance of fauna. With a total length of 1,482Kms, the Great Wall of China in Shaanxi (also called the Yulin Great Wall) is a grand historical and geographically strategic structure in the north of the Province. It formed a second line of defense against invaders from the north after the high mountain peaks. Since the 19th century, the economic development of Shaanxi Province has seen a major upward trend. Small towns have turned into burgeoning metropolises like Xi’an (capital city), Yulin, Ankang, Hanzhong, Ya’an, Yan’an, Zingping, Yangling, etc. The current population of 37 million in Shaanxi Province consists mainly of the Chinese Hans with a small presence of the Hui ethnic minority group in the northern districts. The largest concentration is in the cities and larger towns in the central region. There has been a rapid growth of industries directly or indirectly related to natural gas, crude oil, coal, animal hides, timepieces, production of wine and liquor, finance, perfumes (especially musk), Information Technology, weaving, etc. Nearly 50% of the aircraft industry of China is concentrated in Shaanxi. Province has also increased greatly. Consequently, the book publishing business has also prospered over the years. Another industry that has been around for centuries and is still prevalent is the banking and moneylending business. A large section of the Shaanxi business houses is involved in what is called Guangzhou lending. Xi’an City has been a trading center since ancient times, connecting China to other parts of the world. 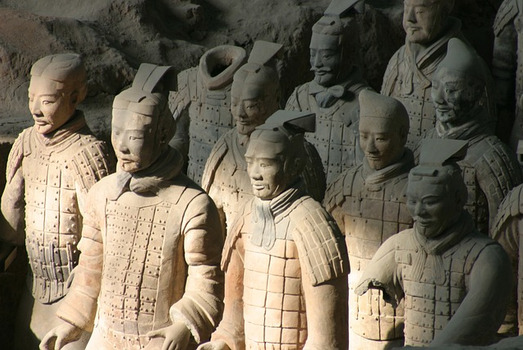 The life-size Terracotta Warriors and Horses in Xi’an, built during the Qin Dynasty reign, are famous worldwide as a splendid living historical museum. They showcase the prosperity and talent in the region. The Great Wall of China near Yulin is the strongest and best-preserved part of the Wall. Its impenetrable architecture is so unique and well-camouflaged, that ancient invaders coming across the Beishan Mountain range could not detect the Wall from afar and were taken by surprise by this additional line of defense. The people of Shaanxi follow Buddhist, Taoist, or ethnic practices, customs, and traditions. They are proud of their rich history and have built many mausoleums in honor of some of their brave and dynamic citizens. Shaanxi Province is well known for its Qinqiang Opera which was originally called Qin. It consists of melodious singing reminiscent of the rural singing styles of the Shaanxi and Gansu Provinces. Yangge is a folk art that involves music and dancing revolved around comical themes. Shadow plays using leather puppets is another popular art form that has originated in the rural areas of the Province. The people are fond of sports and the Province hosts the Chinese Super League Football on a regular basis at their vast stadiums. The various museums have ample evidence of their pottery and sculpting talent of Shaanxi. The Forest of Steles (Beilin Museum) has the most unusual examples of calligraphy, the likes of which are not found anywhere else in China or the world. The Xianyang International Airport in Xi’an has excellent connections with major cities in China and other cities in South East Asia. With 4 smaller feeder airports in Yulin, Yun’an, Ankang, and Hanzhong, there is access to all the major tourist attractions in the Province. The network of expressways radiates from the city of Xi'an and is an efficient way of touring the Province by road. The Province is a popular tourist destination because it is a treasure trove of both natural and manmade attractions. The mix of Chinese Buddhist culture and Muslim ethnic groups add to the colorful aspects of the region. 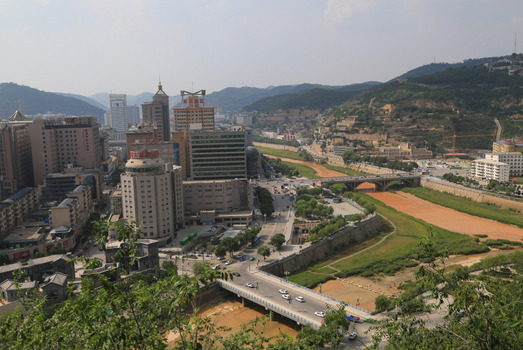 Some of the attractions are the Terracotta Army, Daqin Pagoda, Zhao Mausoleum, Banpo Neolithic Village, Taibai Shan Scenic Area, Hua Shan Scenic Area, Shaanxi History Museum, Great Mosque, Giant Wild Goose Pagoda, Drum Tower, Bell Tower, and mausoleums related to the Chinese Communist revolution. The cuisine of Shaanxi Province is composed of elaborate dishes made with mutton, duck, beef, chicken, or pork. They use a rich mix of species and flavoring agents like garlic, vinegar, onion, soy sauce, and rock salt. There are dishes that are steamed, deep-fried or stir-fried. Some of the specialties include the Biangbiang noodles, flatbread with mutton soup, grilled kabob (kebabs), Xi’an meat burger, Liangpi cold noodles, hot and sour dumpling soup, steamed beef with wheat powder, Zenggao (sticky rice and date cake), Goukui pancake, cured lamb and beef, Hanzhong rice noodles, Rose Mirror cake, and many more. Roujiamo is a meat sandwich and the most popular must-try street food in the Province.